On December 31, 2013, Michigan’s inaugural wolf hunting season came to a close. From November 15 to December 31, twelve hundred licensed hunters prowled the woods within three carefully mapped out wolf management areas in Michigan’s Upper Peninsula, competing with one another to bag a grey wolf fresh off its removal from Endangered Species Act (ESA) protection. Twenty-three cunning canines were taken in total, falling well short of the state-designated quota of forty-three. The legislation and other events leading up to and succeeding the inaugural hunt, the veracity of scientific management practices, and referendum efforts to halt the hunt will be unpackaged and discussed in this post. Based on these findings, the DNR and NRC argue that a regulated wolf hunt will provide two main benefits: (1) taking wolves will reduce their abundance, causing fewer conflicts with both humans and livestock, and (2) hunting wolves will lead to favorable behavioral adjustments, rendering wolves wearier of humans and reducing instances of interaction. Citing the DNR-commissioned paper, the DNR and NRC concluded that human-caused wolf mortality is necessary to keep Michigan’s wolf population from rapidly expanding, while at the same time reducing the number of harmful confrontations with wolves. Opponents of Michigan wolf hunting, including the non-profit group Keep Michigan Wolves Protected (KMWP), argue the scientific conclusions reached by the DNR and NRC are flawed.8 Their protestations fall into three general categories: (1) the threats posed to humans and livestock have been overstated, (2) other adequate measures exist to protect farmers’ property interest in their livestock, and (3) the primary motivation behind hunting wolves is not to protect a public interest, but to appease and empower recreational trophy hunters. Since ESA protection was removed, Michigan farmers have been able to apply for kill permits that enable farmers to shoot wolves on their property that threaten their livestock. Therefore, hunt opponents argue, wolf hunting is unnecessary to protect farmer property interests. KMWP asserts that the NRC’s assertion that wolves pose a threat to human safety is flat out wrong, citing that there has never been a documented wolf attack of a human in Michigan. Interestingly, the Wildlife Division Report No. 3457 devotes an entire chapter to Wolves and Human Safety, despite the report’s acknowledgment that wolves have only accounted for two reported deaths in North American between 1900 and 2002. With this background information in mind, let us turn to the legislation that enabled the wolf hunt. On December 28, 2012, Governor Rick Snyder signed Public Act 520 (PA 520), which added the grey wolf to Michigan’s list of game species. Pursuant to Proposal G, a ballot initiative passed in 1996, the NRC has exclusive authority to regulate game species, including the authority to establish a hunting season. PA 520’s listing of the grey wolf thus gave the NRC exclusive authority to determine how Michigan will manage the newly delisted grey wolf. Outraged by the passage of PA 520, KMWP collected enough signatures to force a referendum challenging the wolf’s game species status. In direct response to the petition drive’s momentum, on May 8, 2013, the Michigan legislature responded with the passage of Public Act 21 (PA 21). PA 21 empowered the NRC, in addition to the legislature, to designate game species. This calculated step rendered the impending ballot initiative moot. In Michigan, referendum enables citizens to challenge legislation but not the decisions of regulatory agencies. Once the NRC listed the wolf as a game species under their newly granted PA 21 authority, that determination became untouchable by public citizens. It is firmly in the Michigan common law that referendum is limited to “matters that are truly legislative in character”. The courts have explicitly differentiated administrative acts from legislative acts, qualifying the latter for referendum while excluding the former. The NRC, a seven-member council appointed by the Michigan governor, is unquestionably an executive agency. As an agency, administrative acts including their determination of the grey wolf’s status as a game species are shielded from referendum. Although the Michigan legislature did not technically do anything wrong, their purposeful circumvention of a possible referendum violated the spirit of our democratic process. Michigan has a long and proud tradition of initiative and referendum that is enshrined in Article 2, § 9 of Michigan’s 1963 constitution. On March 13, 2014, Keep Michigan Wolves issued a press release announcing their submission of over 229,000 signatures to the Michigan Secretary of State’s Office to force a November 4, 2014 referendum on both PA 520 and PA 21. This ongoing case is an important study of the power dynamics at play between state government and the people’s powers of initiative and referendum. Animal rights groups, preservationists, and concerned citizens, as well as Upper Peninsula farmers, are engaged in a bitter battle of conflicting information and high emotions. Stay tuned to Mlive’s ongoing coverage of the controversy and its consequences. Rationale and Basis of NRC for its Approval and Adoption of Wildlife Conservation Order Amendments 13 and 14 of 2013, http://www.michigan.gov/documents/dnr/Rationale_for_the_Wildlife_and_Fisheries_Committees_Recommendation _to_Adopt_Wildlife_Conservation_Order_Amendment_No_6_of_2013_as_Modified_Herein_420752_7.pdf. Farmers eager for right to kill attacking wolves, Associated Press, http://www.mlive.com/news/index.ssf/2012/01/farmers_eager_for_right_to_kil.html; Review of Social and Biological Science Relevant to Wolf Management in Michigan, Michigan DNR Wildlife Division Reports No. 3457 (2006), http://www.michigan.gov/documents/dnr/Wolf_White_Paper_178870_7.pdf. Michigan Wolf Management Plan, Michigan DNR Wildlife Division Report No. 3484 (2008), http://www.michigan.gov/documents/dnr/Draft_Wolf_Management_Plan_030708_227742_7.pdf. Rationale and Basis of NRC, supra note 2. Keep Wolves Protected is a special interest group that receives most of its funding from the United States Humane Society, based in Washington DC. It is not unbiased. Some or its factual assertions are questioned by the group The Truth About Keep Wolves Protected. See Fact or Fiction, http://www.keep-wolves-protected-truth.com/faq/; Keep Wolves Protected, Keep Michigan Wolves Protected, http://keepwolvesprotected.com/. See Keep Wolves Protected, http://keepwolvesprotected.com/. Farmers eager for right to kill attacking wolves, supra note 3. Facts, Keep Michigan Wolves Protected, http://keepwolvesprotected.com/about/facts. Resources, Keep Michigan Wolves Protected, http://keepwolvesprotected.com/about/resources. Review of Social and Biological Science, supra note 4 at 65. 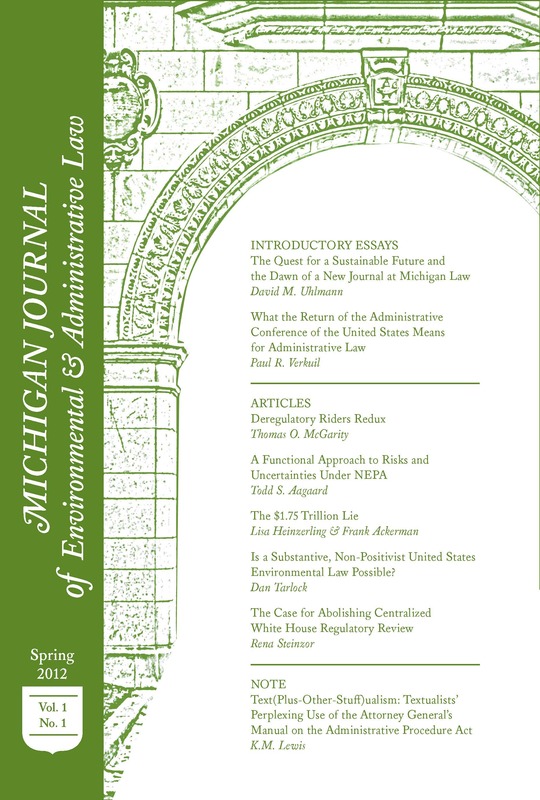 Michigan Public Act 520 (2012), http://www.legislature.mi.gov/documents/2011-2012/publicact/pdf/2012-PA-0520.pdf. What is the NRC?, Michigan DNR, http://www.michigan.gov/dnr/0,4570,7-153-65134_65145-25914–,00.html. Michigan Public Act 21 (2013), http://www.legislature.mi.gov/documents/2013-2014/publicact/pdf/2013-PA-0021.pdf. About, Keep Michigan Wolves Protected, http://keepwolvesprotected.com/about. Beach v. City of Saline, 316 N.W.2d 724, 725 (1982). E.g. Chynoweth v. City of Hancock, 309 N.W.2d 606, 607 (1981). Resources, supra note 11 (I agree with Keep Michigan Wolves Protected that this power grab is egregious and undemocratic). Press Release: Keep Michigan Wolves Protected Submits Petitions for Second Referendum to Protect Wolves and Restore Voter Rights, http://keepwolvesprotected.com/kmwp-submits-229000-signatures-2nd-referendum.